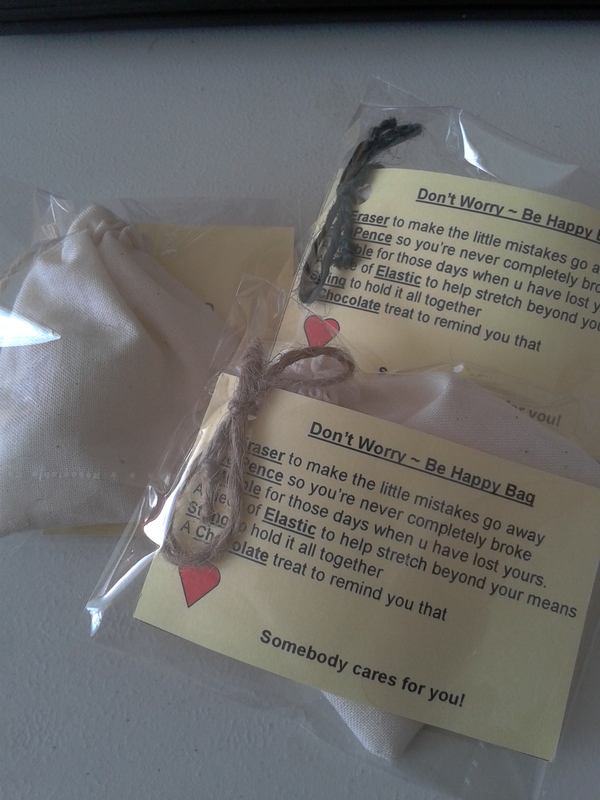 As promised, here are more details about the new range of Happy Bags we have created. We have added a very plain Happy Bag to the basic £1.50 range – remember £1 from every bag still goes to Cancer Research UK. 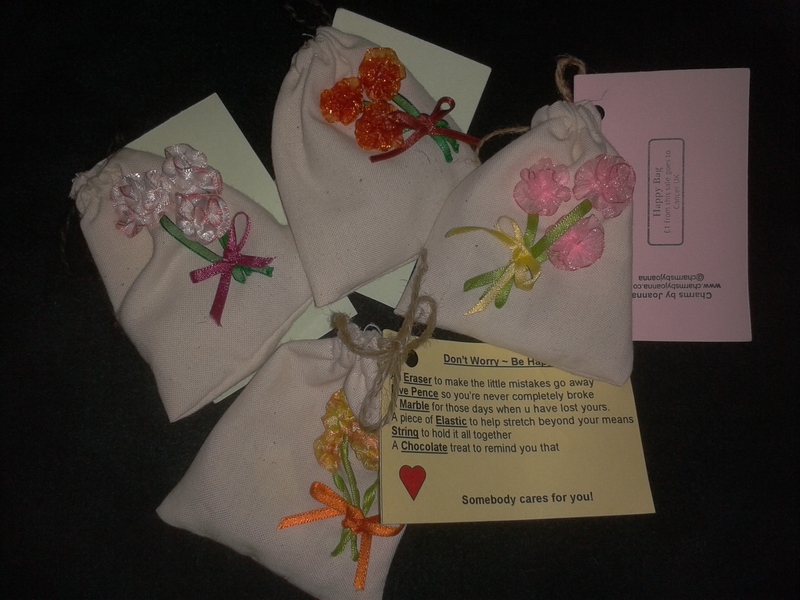 The poem on them is the same, however, instead of having a little piece of string inside the bag, we have actually used string to “hold it all together”. There are currently 3 colour choices for the string – beige, cream and dark green. Now that we have the new range, we have something that can have a little bit of colour added. Here are some of the Rustic ones with a little ribbon embroidery or felt designs added. 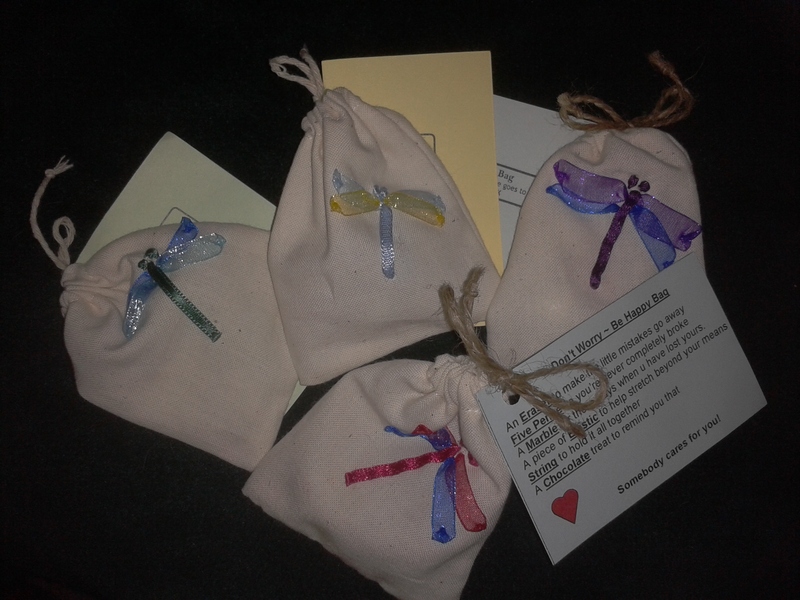 These will be £2.50 each as they take a bit longer to make, however, there is still £1 from every bag going to charity.